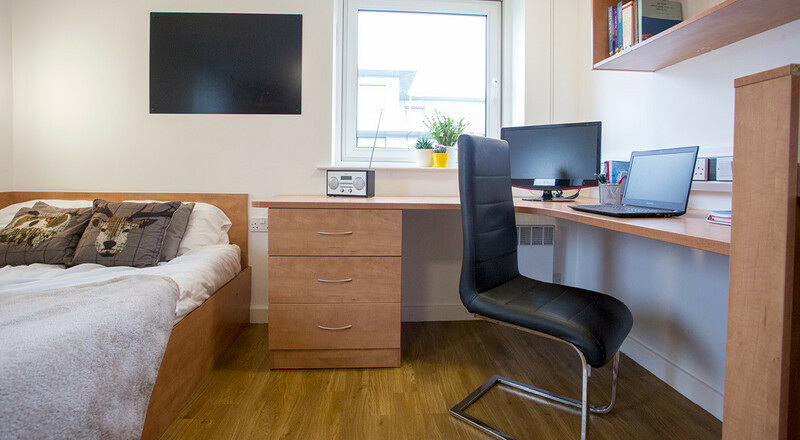 Spacious self-contained studio for 2 students booking together on a joint tenancy. 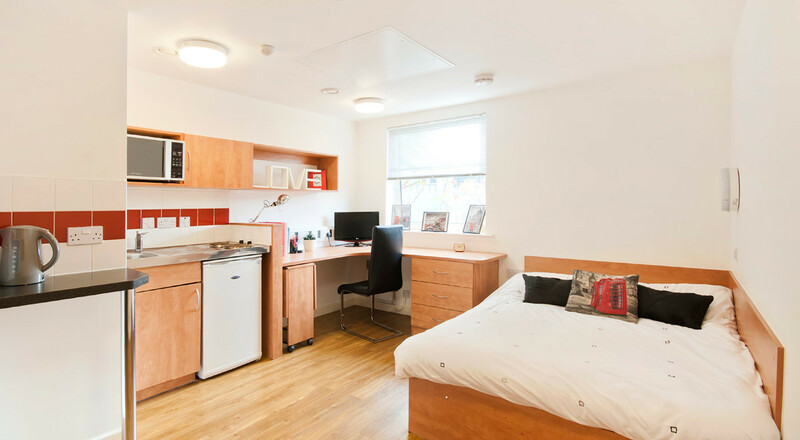 The large studio measures 21m² and contains two 3/4 size double beds, two wardrobes and two study desks, with an en-suite bathroom. Up to 100Mbps WIFI throughout the building.